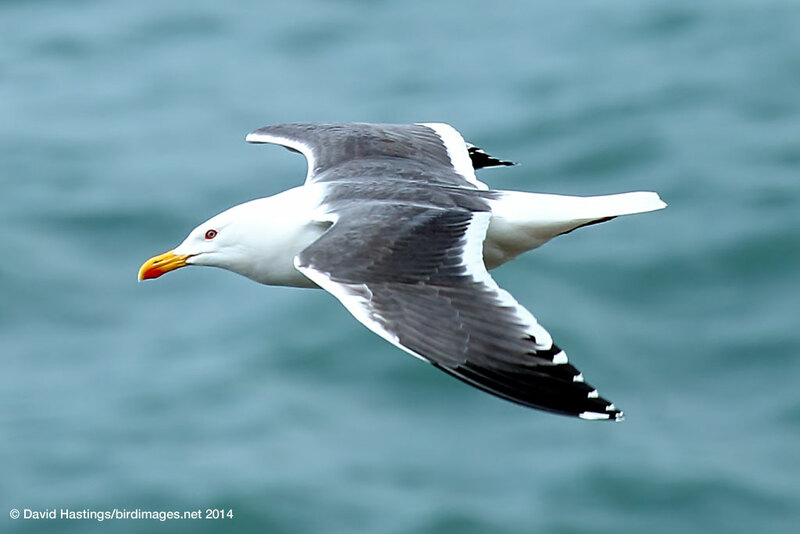 Lesser Black-backed Gull (Larus fuscus). Taken on Skomer, Pembrokeshire, on May 6th 2014. Taken on Skomer, Pembrokeshire, on May 6th 2014. 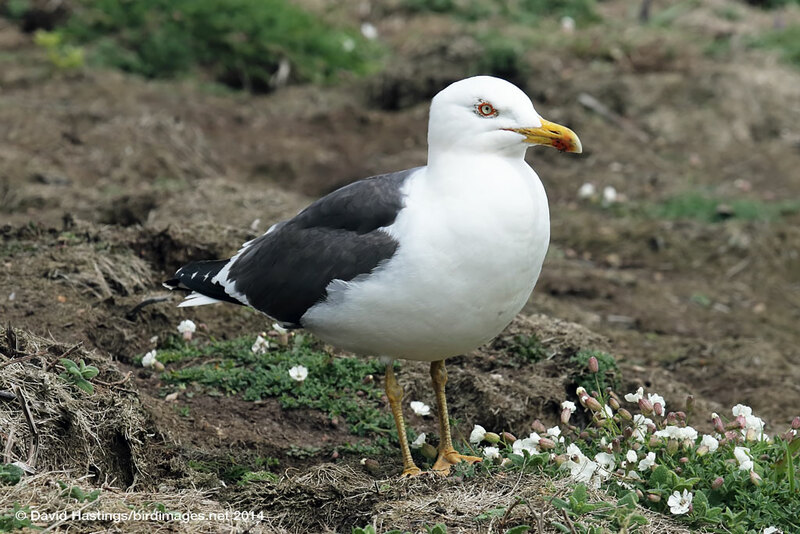 The Lesser Black-backed Gull has a dark grey to black back and wings, yellow bill and yellow legs. For most of the year four age-groups can be identified. It is found in north-west Europe and around the Baltic. In Britain it is found around the coastline in summer and on some inland high moors. The biggest UK colony is on Walney Island, Cumbria, with one third of the UK population. In north and east Europe this species is a long-distance migrant, flying to Africa for the winter. Western birds are shorter-distance migrants, and many over-winter in the British Isles. This species is on the amber list, because the UK is home to 40% of the European population and more than half of these are found at fewer than ten sites.